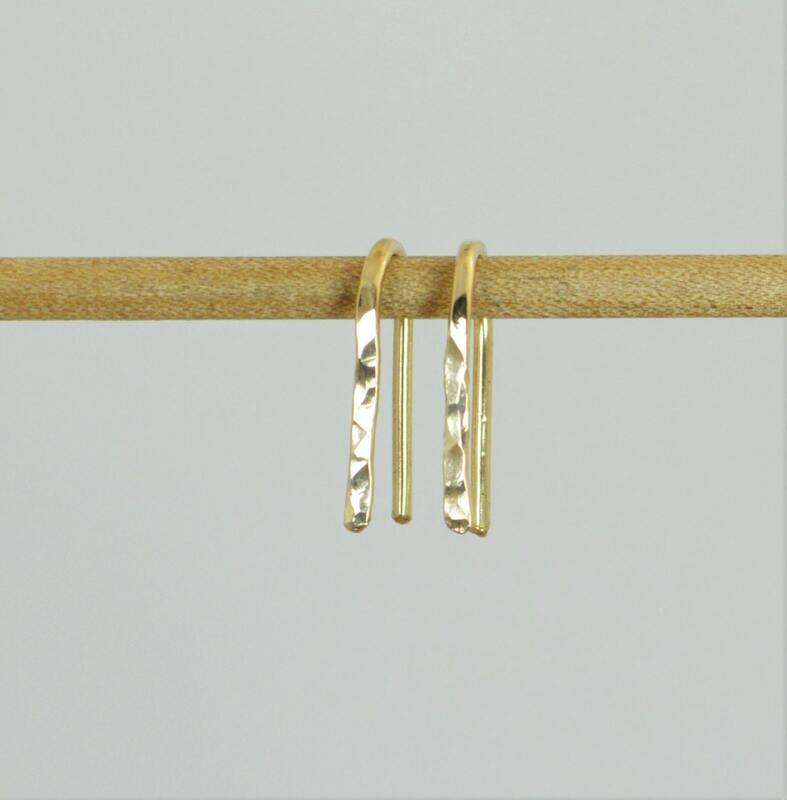 - Handmade 1/2", 3/4", 1" earrings made here in our studio. - You can choose 3 different lengths from this ad. This ad features photos of the 1/2" long open hoop. These earrings are handmade here in my studio. I use durable .95mm wide hypoallergenic 14kt gold-filled wire. The simple design has a very classic minimalist look. 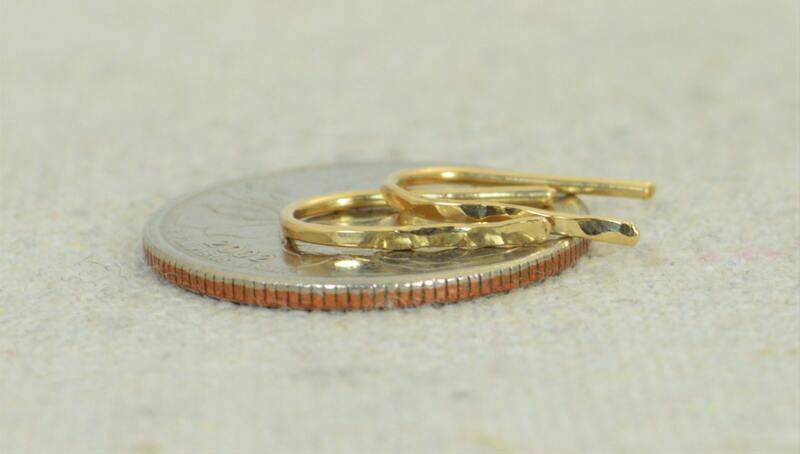 The front of the earring has a flat, hammered surface, and is about 1.5mm wide. Included are rubber earring backs which can be used optionally for extra security. 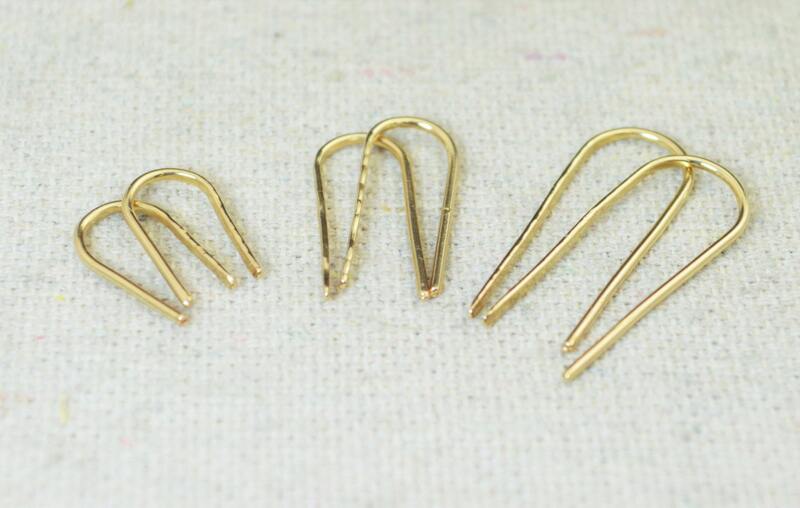 • Each earring weighs less than 1/2g each. 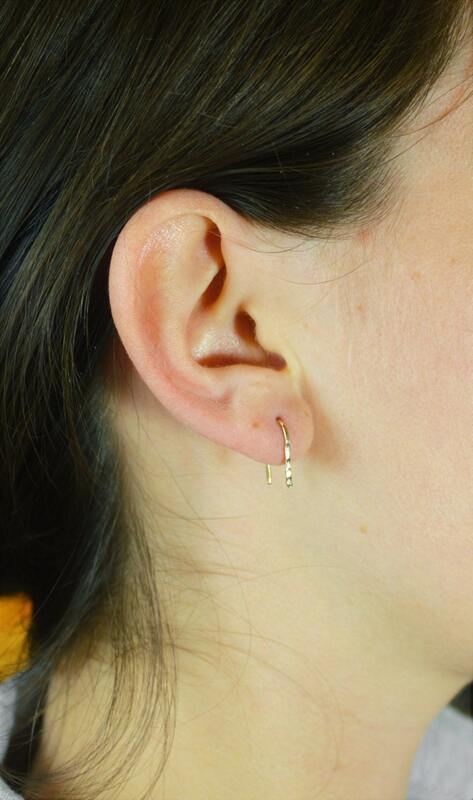 These earrings are such a nice alternative to posts or tiny hoops. Love them! Love this shop and all the people who signed the cute little card!